Previous experience dictated that reno mattresses solution would be the most efficient and cost effective solution for the client. 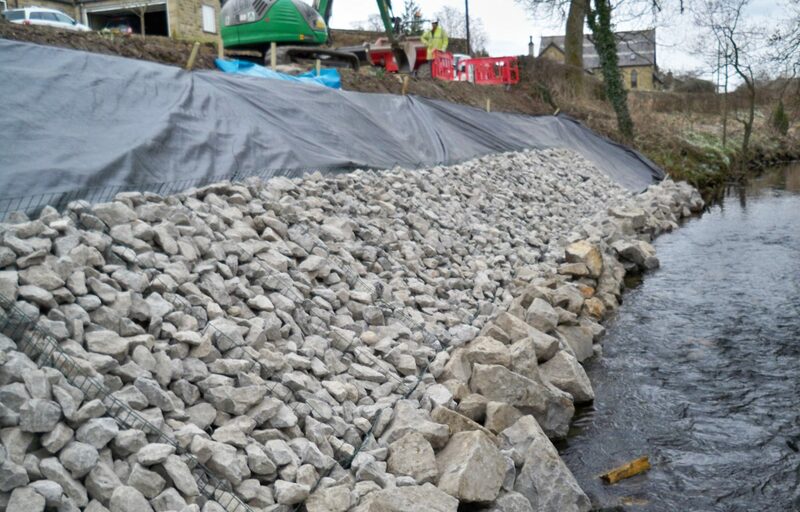 After preliminary set up that included damming of the river and scrapping the bank back and re-profiling, drainage was incorporated into the works. Thereafter the mattresses were installed and tied in with platypus anchors to accord with the ground conditions.